Management is key to your success with show animals. 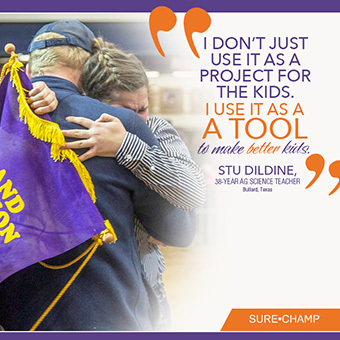 But management refers to more than just skin and hair care or having the latest and greatest in equipment and products. The heart of good management starts with a sound nutrition program, and feeding your animals correctly to maximize their look. 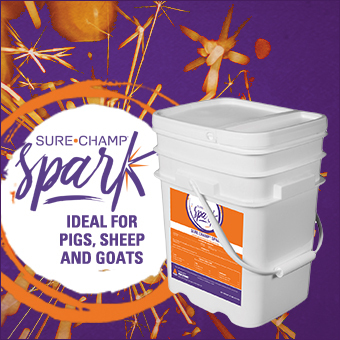 Another product available and ideal for small species including sheep, goats and pigs is Sure Champ Spark®. Spark is a pelleted, daily supplement that will enhance the nutritional value of your feed ration by increasing absorption and keeping the animal healthy. In addition to Amaferm, it includes MOS to trap bad bacteria, limiting their ability to do harm to digestive health and intake.